Classic carnival games at the new Boardwalk Arcade and Two FlowRider, the surf simulators. Japanese grill specialties and a new teppanyaki menu at Izumi Hibachi & Sushi. Quality, hand cut steaks at Royal Caribbean’s Chops Grille. 5 pools and 10 whirlpools, two of them cantilevered whirlpools overlooking the ocean. 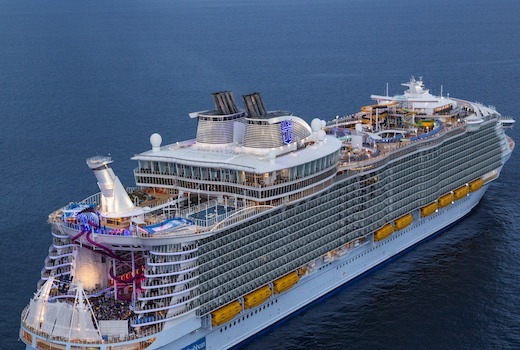 The Symphony of the Seas℠ — a perception remixing, memory maxing mic drop. It’s all the greatest hits, including the ten-story test of courage, Ultimate Abyss℠ and twin FlowRider® surf simulators.